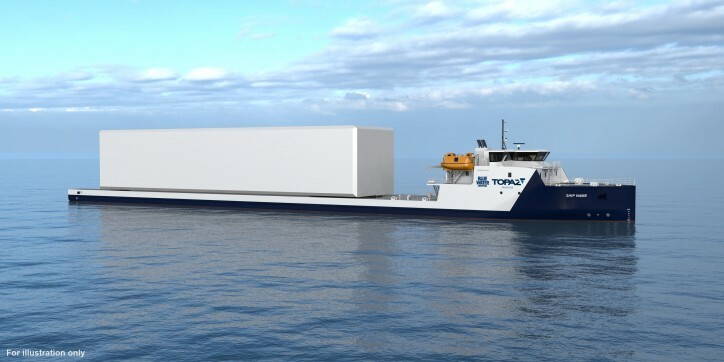 PALFINGER MARINE Winches and Offshore Equipment is proud to announce the signing of a major contract for the supply of complete winch packages to 15 Module Carrier Vessels being built for Topaz Energy and Marine. The vessels, of VARD 9 21 design, are especially developed by Vard Design to navigate the shallow river systems as they transport modules through the Russian waterways to oilfields in Kazakhstan. Measuring 123 by 16,5 meters, the vessels are designed to carry high deck loads of up to 1800 tons. The vessels will be operated by Topaz through a consortium led by Blue Water Shipping for the end-client Tengizchevroil. “We are proud to once again be selected as supplier to VARD Groups newbuilding projects and especially as this is such a major contract. It is a great endorsement for the range and quality of our equipment, as well as the excellent level of service we provide," says Sverre Mowinckel-Nilsen, Head of Sales at PALFINGER MARINE Winches and Offshore Equipment.